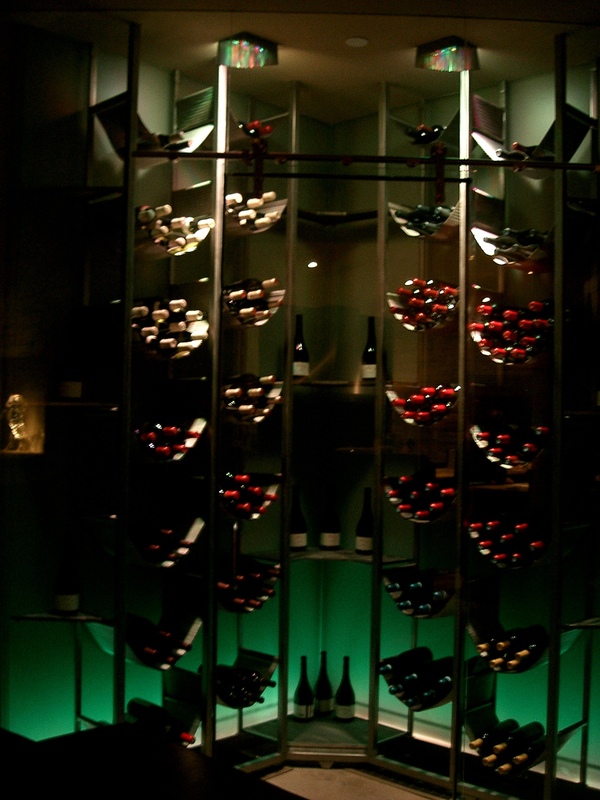 Goals and Vision: Attempt to light up an area with the accent lighting of a wine storage enclosure. Adding overhead accent lights to allow for flooding the room with light from above, while accenting fixtures and contents of the enclosure. Specific challenges: Hiding the light fixtures sufficiently. Adding a glow to the back walls, using sheets of frosted glass, and a variable airspace. Shielding the ceiling fixtures, both the fixtures and the added light.